There are a lot of misleading stereotypes about the INFP personality on the Internet. They’re thought to be indecisive, emotionally vulnerable, and overly idealistic, among other things. I think that’s why it took me so long to identify as an INFP—not all those stereotypes resonate with me. Introverted Feeling is the INFP’s dominant function. This means that INFPs are in tune with their own emotions and internal value system. They naturally base their decisions on what’s in line with their core values or with what feels right. But this does not mean they’re incapable of logical reasoning. In fact, they can be quite good with reason—especially if their inferior function, Extroverted Thinking, is well developed. For instance, as an INFP, I find myself tapping into my Thinking function at times. I minored in mathematics at university (and even received an A in advanced calculus) because I wanted to challenge myself and further develop my left brain. I can also be very good at organizing things; when it comes to storing files on my computer and on a shared drive, everything is tidy and categorized into separate folders (to make it easy for myself and others to find). Without a doubt, INFPs have very strong emotions. My emotions can run very deep in such a way that makes me feel like an old soul. However, on the surface, INFPs more often display a calm and quiet demeanor, because their Feeling function is introverted; therefore, their feelings and values are invisible to others, which sometimes makes them a mystery even to the people who are closest to them. So it’s a rare sight to see an INFP display their raw emotions outwardly—and when it does happen, you know it’s a big deal. I can only recall a few moments in my life when I’ve had an emotional outburst in front of someone (and I only let it happen because I trusted that person). It usually happens when I have too much emotion bottled inside that I can no longer contain. What’s your personality type? Knowing your type can help you leverage your natural strengths. Take the free test from our partner Personality Hacker. INFPs are emotionally sensitive people, but they’re also very resilient. Even though they have their dark periods, they’re generally quite flexible and adaptable when it comes to dealing with the vicissitudes of life. They have an inner light that prevents them from being too cynical, and they tend to look at life with optimism. INFPs are very aware of their own emotions and are capable of recreating emotions within their imagination. This helps them empathize with other people, whether those people are friends, strangers, or even characters in a book. However, as an INFP, I’ve had to learn to filter negative emotions that have been projected on me by others. I’ve learned to not to take other people’s feelings personally. My imagination can also provide a sanctuary from the miseries of the world. Okay, I’m not going to lie… it’s true that INFPs generally see things in a way that is rather idealistic (and they’re prone to daydreaming), but that doesn’t mean they’re removed from reality. INFPs are aware of the reality that exists outside of their idealism, in which they’re invested in creating a real impact on the world by making a positive difference in the lives of others. They hope to bring forth something insightful and enlightening from their “fantasy world” to the real world. INFPs’ idealism enables them to see the best in others, in spite of recognizing their flaws, and they wish to help others realize their own potential. 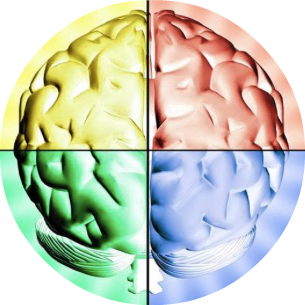 Heidi Priebe writes, “Myers-Briggs Personality psychology can explain a lot about what we do and why we do it, but it can’t explain everything.” Motivation is one of those things that really depends on the individual and not their personality type. Although perceiver types—people who prefer an adaptable lifestyle—such as INFPs generally struggle with follow through (because they have so many ideas), many have also proven to be successful and industrious. INFPs are especially motivated when they’re passionate about something or when something feels right—and it doesn’t have to be anything momentous. It could be as simple as decorating and cleaning their room after they’re tired of seeing how messy it has become. Or it could be writing a 50-page paper about a topic they’re really interested in. For example, I applied to hundreds of jobs and regularly networked when I was determined to land a position. Some famous INFPs include: William Shakespeare, J.R.R. Tolkien, Audrey Hepburn, Virginia Wolf, Edgar Allan Poe, and Susan Cain (founder of Quiet Revolution). With INFPs’ intelligence, creativity, and sincerity, they inspire compassion and beauty in this world and can leave a big footprint. Finally, I want to say that I don’t speak on behalf of all INFPs: the points in this article were based on my research and personal reflections. Also, I believe that MBTI stereotypes are generally misleading, since the theory is modeled upon cognitive functions and should be thought of as such. Our personality types only tell us about our cognitive vehicle, and not so much who we are as individuals—as each person is unique. Having said this, I believe that INFPs can make a significant impact on the world, especially when they learn how to fully use their cognitive functions. To learn more about being an INFP, check out my book. Catherine Chea is a content marketer, writer, piano player, philosophy major, and an INFP personality type. 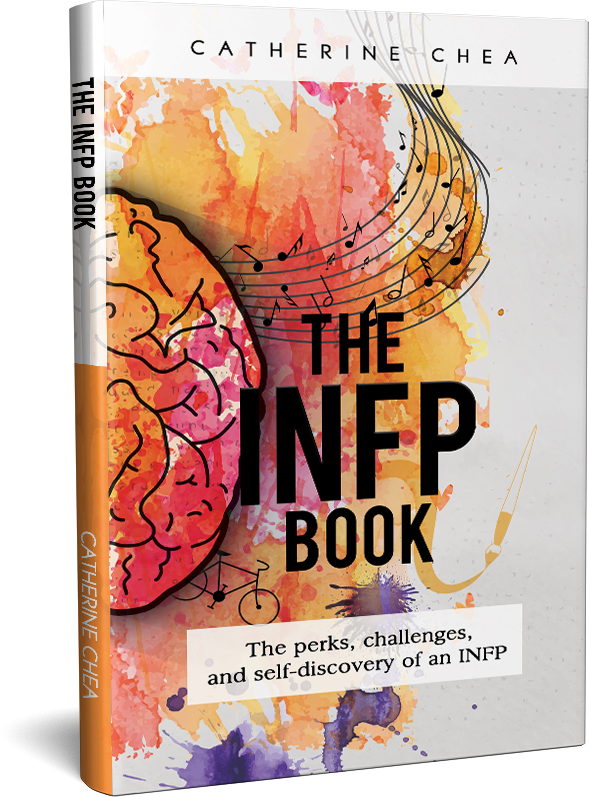 She enjoys inspiring others through creativity and storytelling and is the author of The INFP Book: The perks, challenges, and self-discovery of an INFP. To learn more about her, visit her website at CatherineChea.com.